Many articles were published about the Voter ID Rally held July 24th in Harrisburg, PA, in newspapers across Pennsylvania. The legislatures were undeterred by facts — compiled by the Brennan Center for Justice — that show instances of voter fraud because of fraudulent identity occur less frequently than deaths by lightning. Even so, 30 states have some voter photo ID law. First of all, hat tip to James Causey for highlighting the results of a study that links strength of support for Voter ID (read: Voter Suppression) to negative attitudes towards African-Americans. And to Barbara Miner for an earlier post, too. St. Louis Election officials say it’s due to redistricting. Comics, Political Cartoons & Editorial Commentary on the latest news and events around the world. The New Voter ID restrictions in Pennsylvania could prevent 1.4 million registered people minorities from getting to the election polls, but it looks like the ACLU and Viviette Applewhite already have some of their leg work cut out for them. 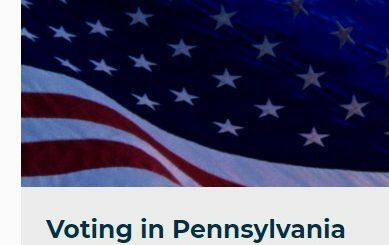 The new law requires all Pennsylvania voters to present an acceptable form of photo ID before their votes can be counted. With voter ID laws becoming a political flashpoint in what’s gearing up to be a close election year, ProPublica looks at the facts behind the laws and breaks down the issues at the heart of the debate. Many states, all controlled by Republican Governors and legislatures, are systematically violating the Voting Rights Act of 1965 in an attempt to fix the. Voter IDs laws have become a political flashpoint: Supporters say the laws — which 30 states have now enacted — are needed to combat voter fraud, while critics see them as a tactic to disenfranchise voters. Do We Need a New Voting Rights Act?